Rumors of a partnership between Samsung and Research in Motion (RIM) to license the BlackBerry 10 OS on Samsung phones just won't quit. Jefferies analyst Peter Misek reportedly told investors Wednesday that the two companies are likely in talks, or are planning discussions, at the very least. And Recon Analytics analyst Roger Entner told TechRadar that he wouldn't be surprised if the companies were in negotiations, adding that RIM "needs to broaden its appeal" if it wants to survive. But Samsung isn't so keen on the rumors, and the South Korean manufacturer has issued an official denial. "Samsung Electronics has not considered the acquisition of Research in Motion or licensing BB 10," reads a brief but very official statement sent to TechRadar by a Samsung spokesperson. Despite the outright denial, Entner believes Samsung may simply be keeping its cards close to its chest. "Well, such denials are standard procedure, you know?" the analyst told TechRadar. "I'm surprised that they're commenting on it. When these denials come out, regardless of the company that it is, it's usually not worth a thing." "Everybody talks with everybody all the time. If they want to deny it, more power to them," he added. The benefits to RIM are obvious - its future could hinge on the BlackBerry 10 OS. However, for it to be successful, BB 10 better get here soon. "Looking at BlackBerry 10 is almost like 'Waiting for Godot,'" Entner said. "The longer the delay, the slimmer its chances of success on its own." A partnership with Samsung "would give RIM and its software a much broader appeal and addressable universe, and give them another leg to stand on." "They almost have to count on Microsoft failing in order to succeed, because realistically speaking, there's only room for three operating platforms," he added. What's in it for Samsung? 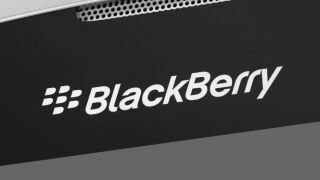 Less obvious are the benefits a partnership with RIM would pose for Samsung, but Entner said BlackBerry 10 devices would give the manufacturer access to previously unreachable demographics. "It would give Samsung a better way into the enterprise segment with an email infrastructure," Entner explained. "That would really strengthen its independence, and make it less dependent on Google." Which may be precisely why they don't want to talk about it. For its part, RIM informed TechRadar that they're sticking to their "standard policy" of staying away from rumors and speculation, though the company's intention to license BlackBerry 10 is not exactly a secret.